After the trip up to the French River I felt like chasing some more Gold around, and one of the best places to do that in Southern Ontario is the Bay of Quinte. So I loaded up the Green Machine and hopped on the 401 headed towards Deseronto. The morning crisp and pristine and the roads were vacant. 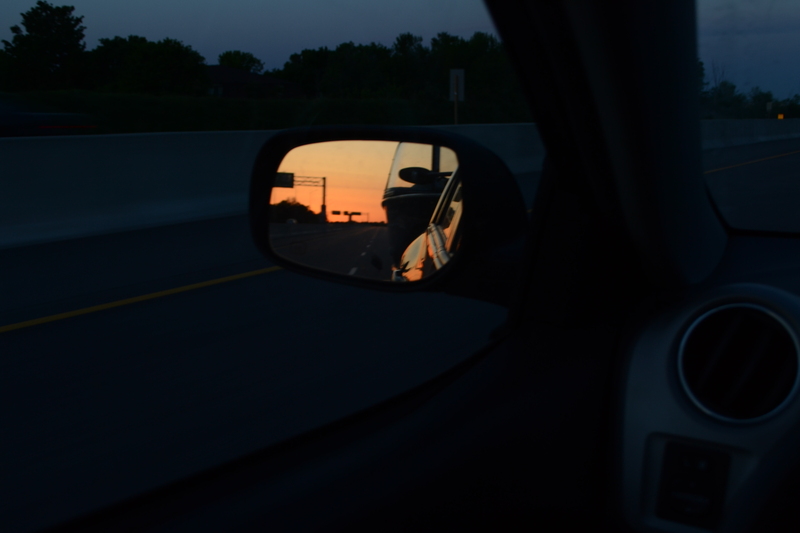 In my opinion, one of the best parts of fishing is the calmness and serenity you get to experience when you get up at 5 am and hit the road towards your destination. Nothing quite like it. 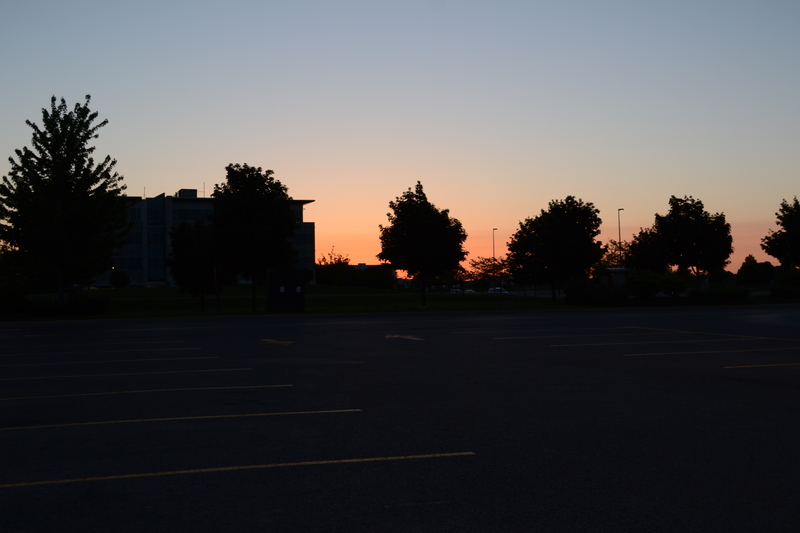 Not only does the early bird get the worm, but also a nice sunrise to boot! With the sun at may back I was on my way. on the way to the water I stopped and picked up my Dad and Brother. Both were eager to get out on the water to try to search for the elusive eyes. We started off fishing 9 to 14 FOW at the Mouth of the Napanee River to no avail. Plenty of boats in this area and we were feeling a bit crowded. With that we left and head down long reach to the Hogs back and Further on to Hay Bay. Aside from perch, we weren’t having much luck until my brother connects with a hefty fish on one of our troll lines. Using a crank bait, he was sure it was a healthy Walleye. No such luck though as he quickly found out when a decent largemouth came towards the boat. My brother worked diligently to de-hook while snapped a couple shots and the fish was released. We promptly left the area and headed south down long reach. We made it to a favourite spot of mine where I had caught my personal best last year and proceeded with another troll line. 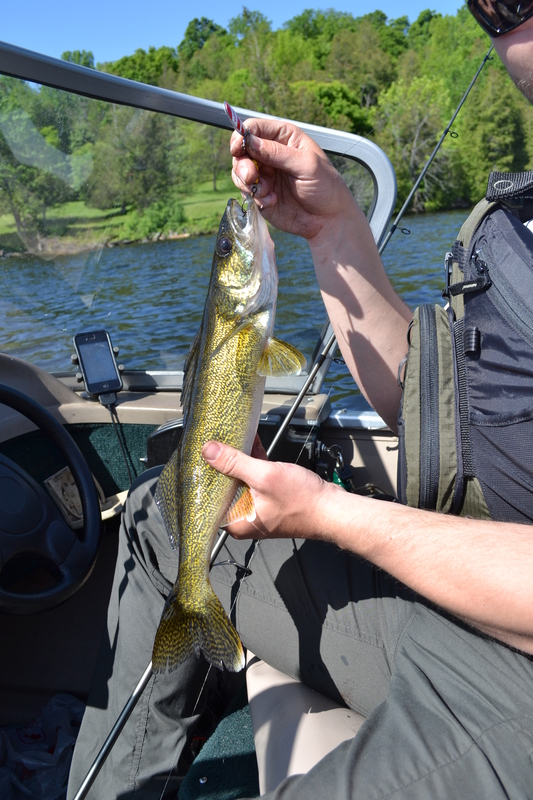 Sure enough, the spot lived up to its reputation and produced this somewhat elongated Walleye. Still a nice fish by any standards. 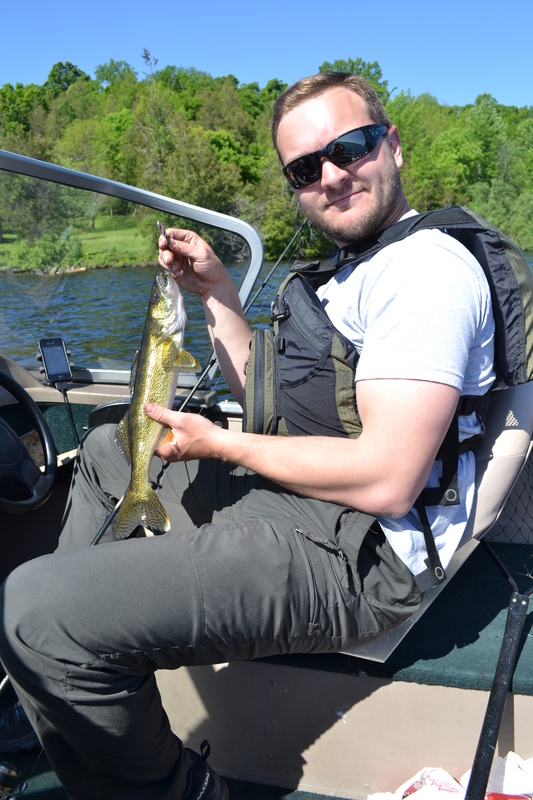 My spot produced a few more strikes and a fairly hefty pike that was about 30″ in length. Mid day approached and we decided we had all gotten enough sun for one day, so we packed up and boated back to the launch. The numbers were huge but the trip was still enjoyable. It always is when your out with family. This entry was posted in Fishing and tagged Bay of Quinte, Bay of Quinte fishing, Bay of Quinte Walleye, get outdoors, Get Outside, Ontario, the wilds of ontario, travel ontario, walleye fishing. Bookmark the permalink.